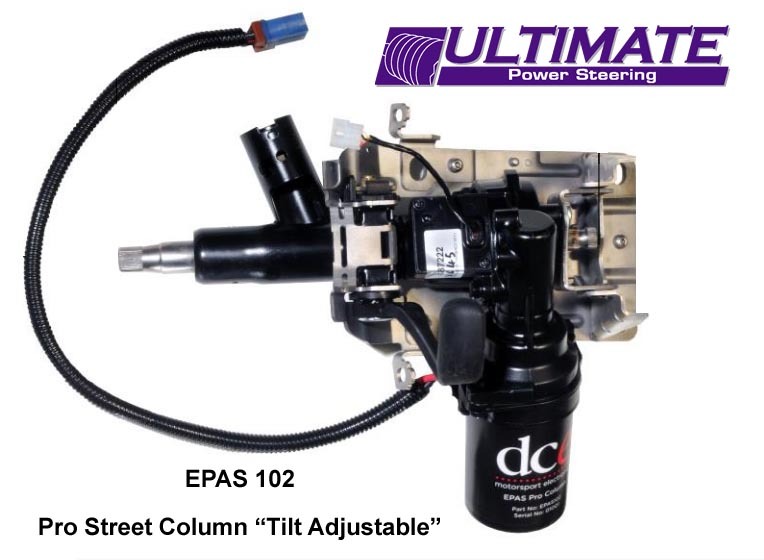 DC Electronics is pleased to announce that it has appointed Ultimate Power Steering as the distributor of its Electronic Power Assisted Steering (EPAS) products. DC Electronics Managing Director David Cunliffe comments: “We are committed to servicing the global motorsport industry and working with the team at Ultimate Power Steering allows us to continue to fulfill that commitment.” DC Electronics has developed fully integrated, standalone EPAS systems for both competition and road use. They are compact units, requiring only a battery connection to work and have a substantial weight saving advantage over hydraulic systems. DC Electronics has 15 years’ experience in the motorsport industry. The company has production facilities in both the UK and North America, ensuring it is at the forefront of innovation and technology on a global scale. Their EPAS systems have been successfully installed on touring cars, rally cars, endurance vehicles and F1 Powerboats. 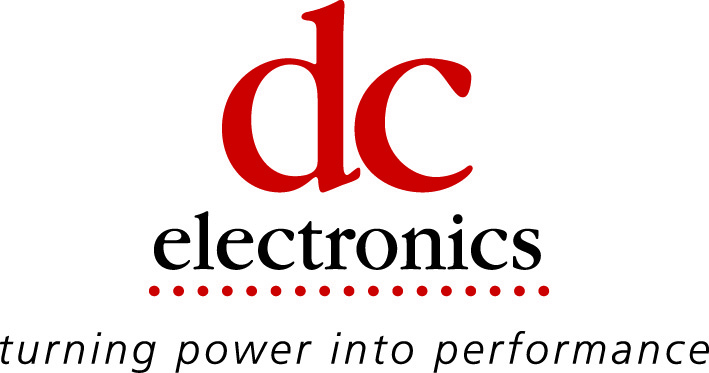 Click Here to visit DC Electronics web site. What are the benefits and how does the Electric Power Assist Steering work? The EPAS system is installed into the existing steering column. An electric motor and torque sensor are fitted inside with the steering column. The torque sensor monitors the amount of force applied by the steering wheel. This signal is fed into the EPAS factory ECU where the motor delivers the appropriate amount of assistance to power the steering rack or box. Small compact units, requiring only a battery connection to work. No messy hydraulic connections or systems to bleed. Weight saving advantage over hydraulic systems. Reduced mechanical drag on engine compared to hydraulic engine driven pumps. Built-in fail-safe which allows the system to revert to conventional steering in the unlikely event of a fault occurring. 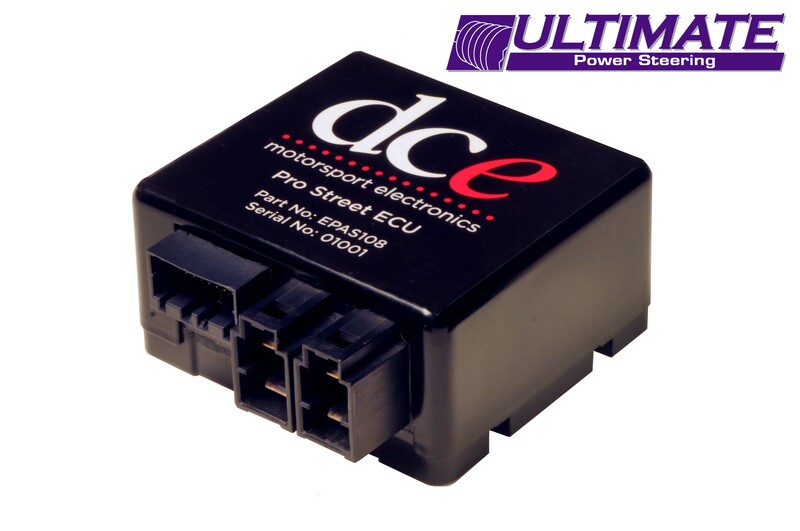 We Stock (EPAS) systems that have been developed by Ultimate Power Steering and DC Electronics. These systems are available for Motor Sport applications in a few different levels. This kit is designed to help installation, a blank input shaft is supplied to allow the installer to adapt the input shaft into almost any application. We now have an Upgraded Loom that can be added to the EPAS Kit-1 or the EPAS Kit-2 to make the units speed sensitive. The “PSGU” simply plugs into the ECU and via a wheel speed sensor this makes the systems speed sensitive. 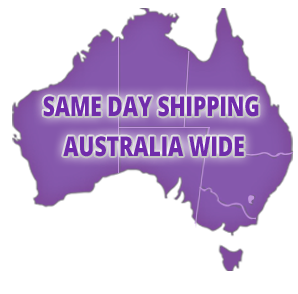 For more information please contact us on (07) 3889 7077. 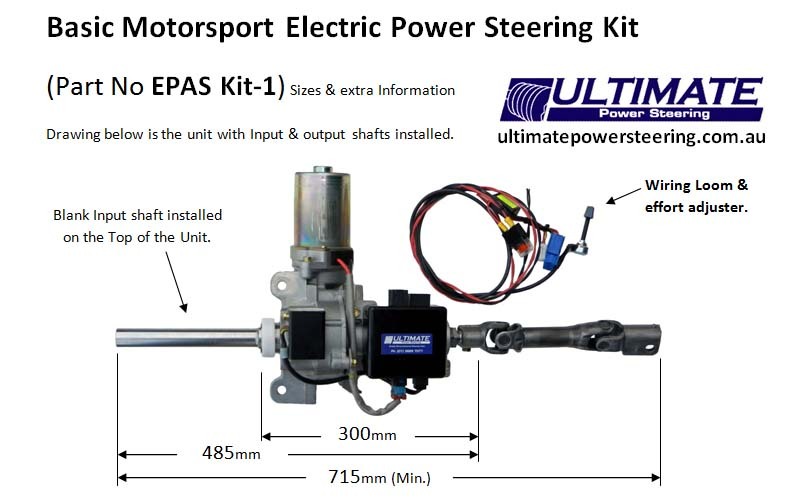 We now stock a longer input shaft designed to fit our EPAS Kit-1. This longer shaft has been made to help with installation of our Basic EPAS Kit-1 systems. The shaft is 400mm long this is 200mm longer than the shaft normally supplied in the EPAS Kit-1 the shaft can be machined to take your steering wheel or quick-release hubs. 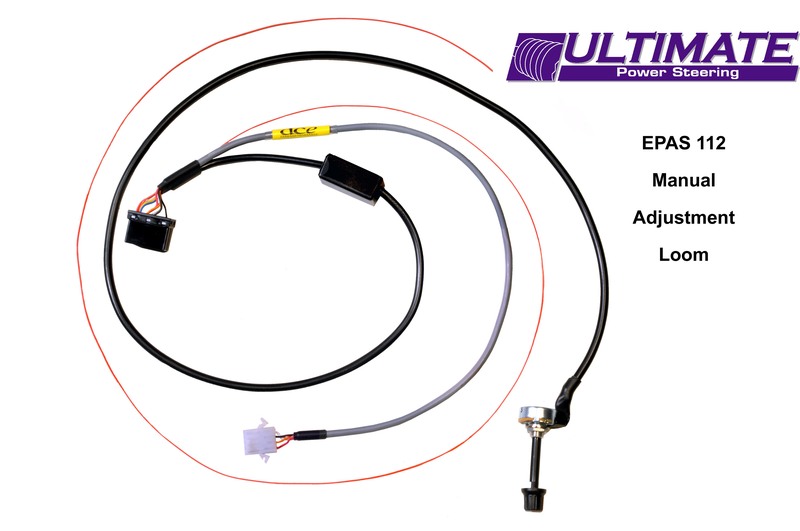 This kit is designed to allow the installer to adapt the EPAS kit into almost any road car application. 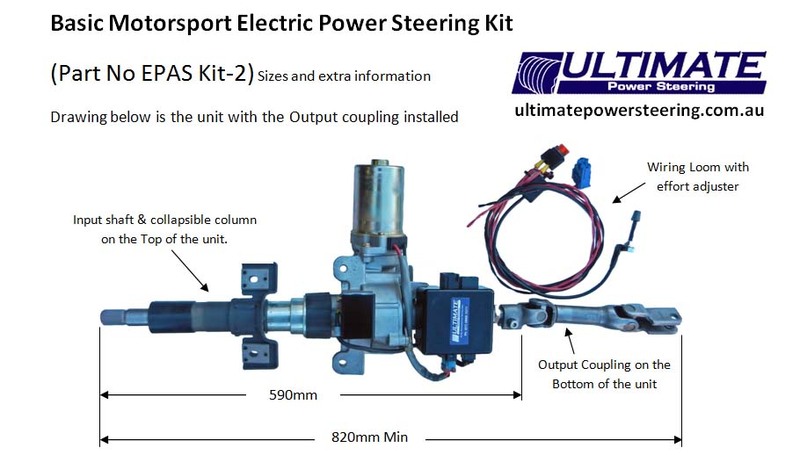 2 new Electric Power Steering Column systems to expand our current EPAS range. The Pro Street system’s comes in two styles, Pro Street Column and Pro Street MGU. Both Pro Street systems function in the same way but offer a choice of packaging / size options depending on your application. MODE OF OPERATION for Pro Street Units. Manual control of steering assistance by potentiometer “Rotary Knob” adjustment. The weight or “feel” of steering can be adjusted by turning the supplied potentiometer. 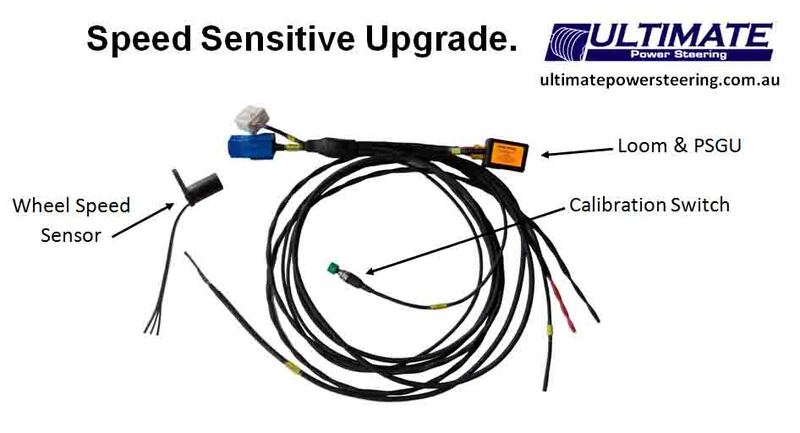 For this option you would add the following two items to your Pro Street MGU or Pro Street Column. The ECU (EPAS108) and the wiring Loom (EPAS112) see photos below. This option gives you the best of both, with a Manual and Speed sensitive control at a flick of a switch. This option has the Manual control of steering assistance by potentiometer adjustment (as with Option 1) and also a digital wheel speed input signal, which can be used to increase the level of assistance at parking speeds whilst firming up the steering at higher speed, this is the Speed Sensitive option. A mode selection switch is provided with the harness to choose your preferred method of operation. 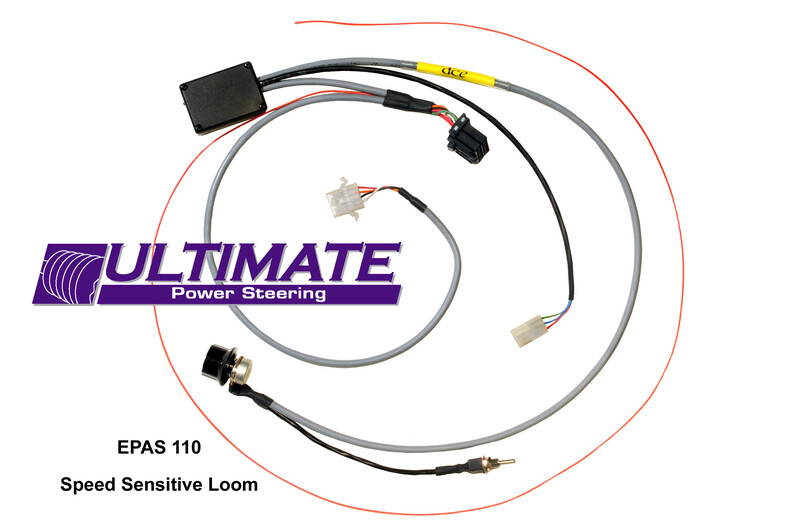 The ECU (EPAS108) and the wiring Loom Speed sensitive (EPAS110) see photos below.